Decorating for the Holidays will put sparkle and a renewed sense of warmth in anyone's holiday decorating. Divided into three sections -- "Deck the Halls", "Trim the Tree", and "Set the Table" -- the book features hundreds of ideas for everything from wrapping a banister with traditional garlands and baking gingerbread snowflakes for the tree to creating candy cane centerpieces and folding origami ornaments. 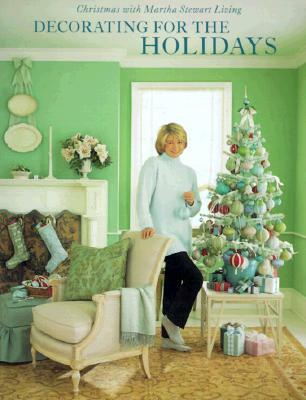 The editors of Martha Stewart Living have combined the magazine's most popular holiday decorating tips with new material -- more than 60 percent of the ideas have never appeared in any previous Martha Stewart publication.